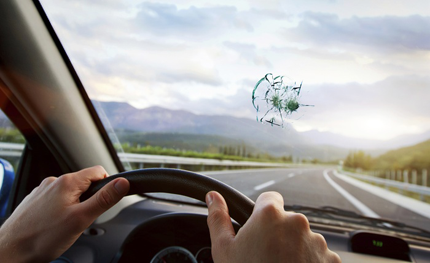 Whether you need a full windshield replacement, or other auto glass repair service, we are staffed, trained, and equipped to help you. We have provided our mobile auto glass service at no extra charge for our customers for more than 10 years and counting now, and we can work on any make or model of both foreign and domestic automobile. Depending on which window of your auto that needs attention, it will take our team between two and five hours to complete a full glass replacement service. When you give our staff a call to arrange services, we will review the extent of the damage with you and provide both a rough estimate as well as how long we think the job will take. Our technicians can work on any window that needs replacement on your auto, and we will not call the job complete until we have your auto ready to hit the road in a safe condition. If you have any questions regarding our auto glass services, just give us a call today. We look forward to working with you, and you will not be disappointed in the quality of our work.